Bethlehem is a suburb of Tauranga, located about 7.4 kilometres from the city centre. Harcourts dedicated to providing outstanding real estate service to all of our customers and our highly experienced team are committed to YOUR success! Our Bethlehem team takes the time to listen. Understanding our client’s individual needs and building genuine personal relationships is key. We build our marketing campaigns based on your needs and wants, and we use modern technology and quality tools to assist in the sale of your home. 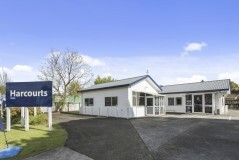 Harcourts branches have access to in-house auction experts, excellent marketing tools and resources, industry-leading apps and the ability to market properties across the entire city and to all 180+ branches throughout New Zealand.